Back at the beginning of September, we did our first ever collaboration brew. Our partner for this brew was Bison Beer, from Brighton. Bison Beer started as a fantastic bottle and growler shop in Brighton’s old town. At the end of 2015, however, the team launched a crowdfunder project to save an abandoned pub on the seafront from being taken over by Burger King. They successfully secured £150,000 of investment, and an endorsement from local MP Caroline Lucas no less, to refurbish the pub and re-open it as The Bison Arms. 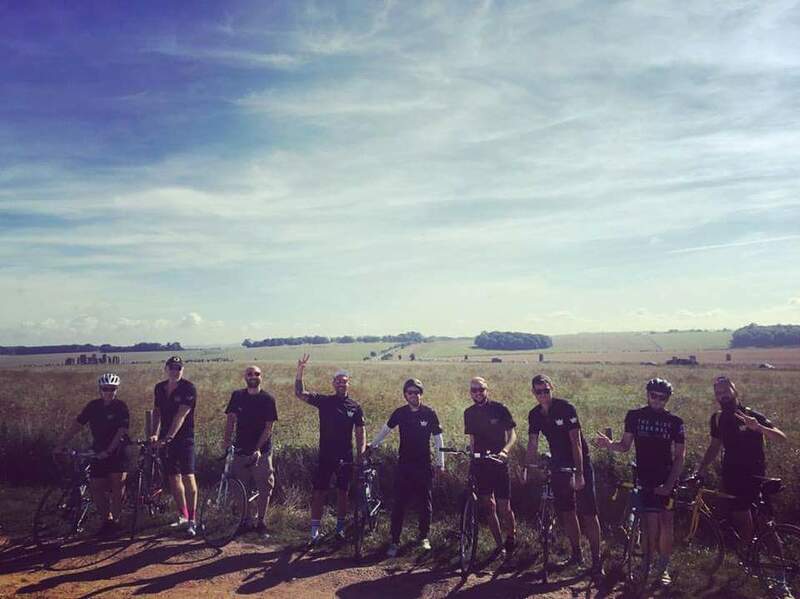 In celebration of finalising the lease on the pub, Bison recruited a group of supporters to join them on a bike ride from their shop in Brighton to our brewery in Bristol, making a number of stops at breweries and pubs along the way! The whole journey was filmed by Kelly’s brother Sam (www.abvmedia.co.uk) and will be premiered at the launch of the beer. To help with the brew, Bison Beer enlisted their friend Jordan Mower, head brewer at Two Tribes brewery in Horsham. Unusually, we had the name first – Ryed With Us. So, Bob and Jordan developed a recipe for a rye IPA with Azacca and Eldorado hops. And for maximum flavour and aroma, all the hops would go into the whirlpool at the end of the boil. 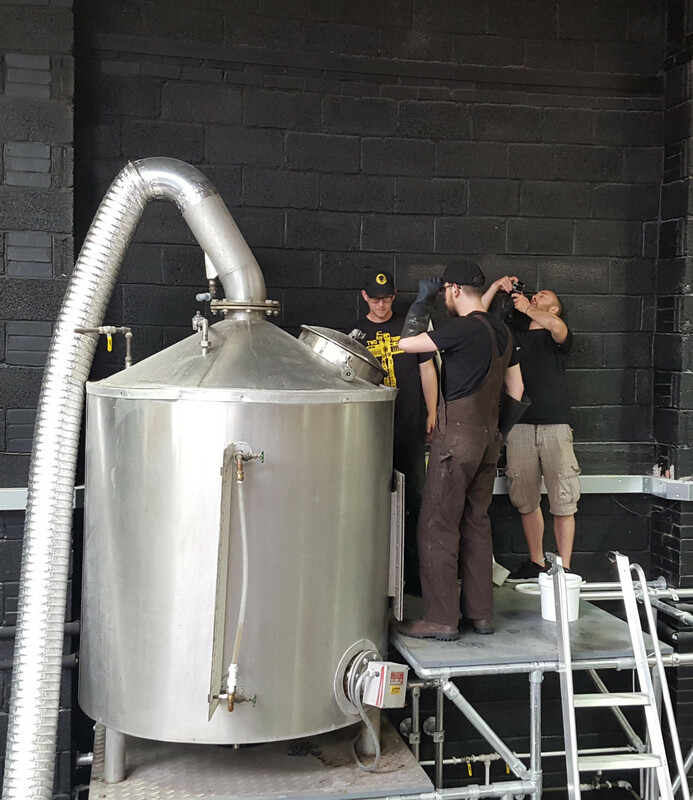 We had a great time brewing the beer on Friday of Bristol Beer Week. 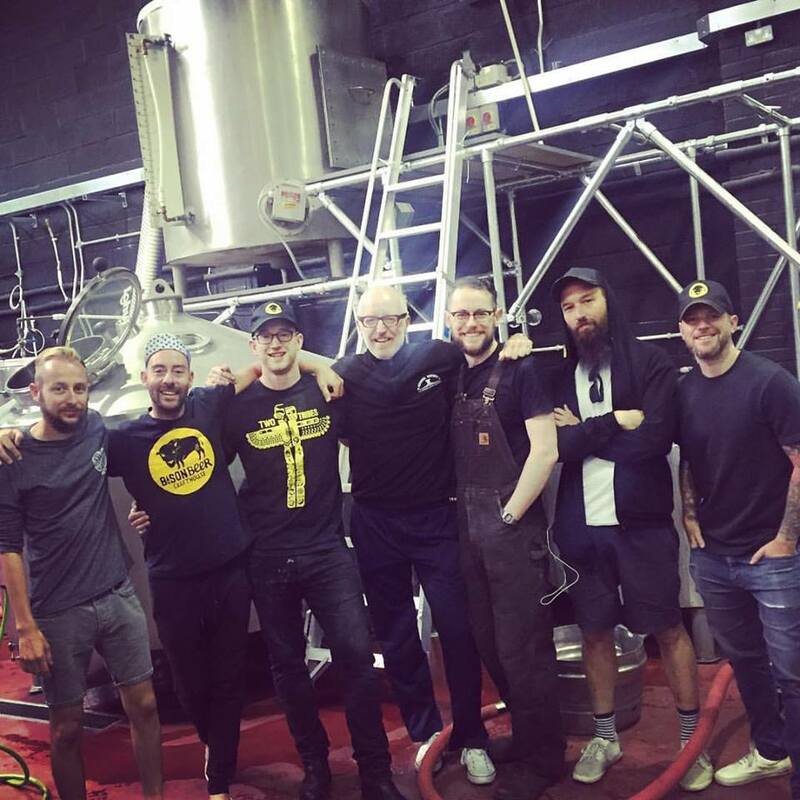 All the Bison crew spent the day with us and got involved in the brew. 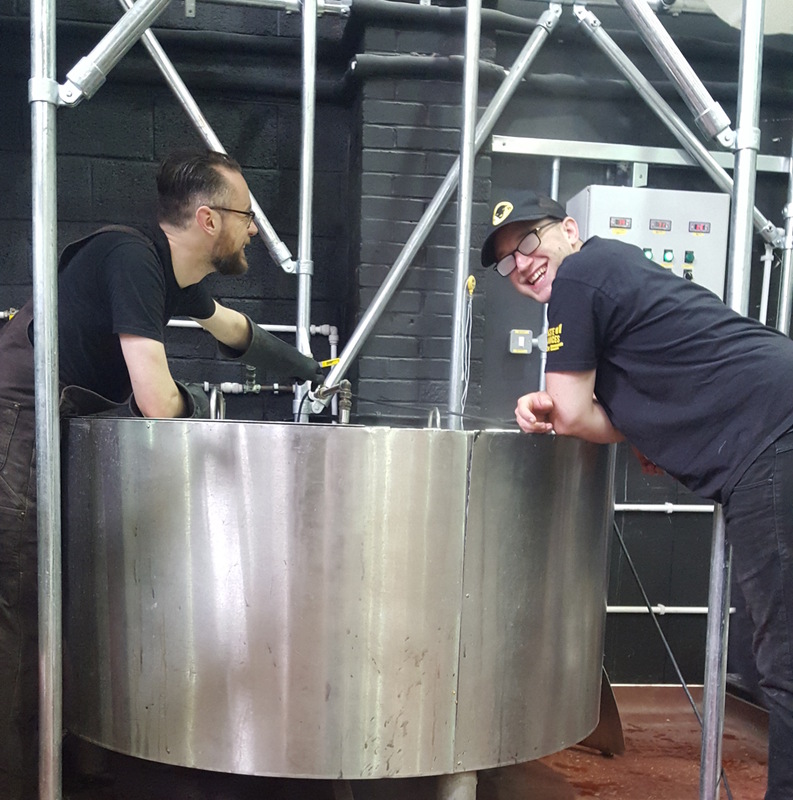 Jordan and Bob swapped beer knowledge (along with a few beers), and Jack dug out the mash tun in possibly record time! It only seems fair that, as they came to us for the brew, we go to them for the launch. So, we’re taking a roadtrip to the seaside to deliver the beer. 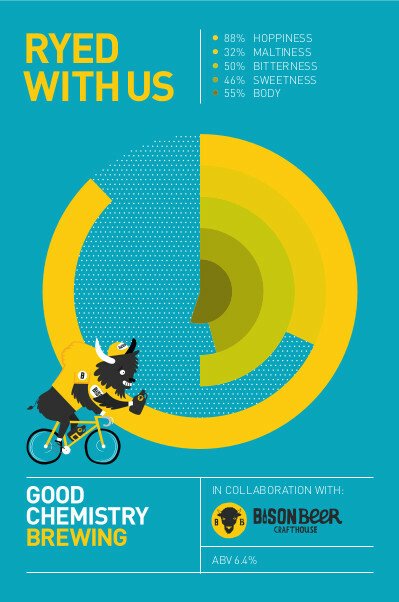 Bison have organised the launch, showing the film of their bike ride, in Brighton this weekend. You can now watch the film in all its glory below. We can’t wait to see the pub and hear how the plans for its development are coming along. We’ll definitely be following the progress closely. If you’re in Brighton this weekend, come along to 68 Middle Street from 6pm on Saturday 15th for some great beer, delicious food by 64 Degrees, and the premier showing of the bike ride film. Do come and say Hi! 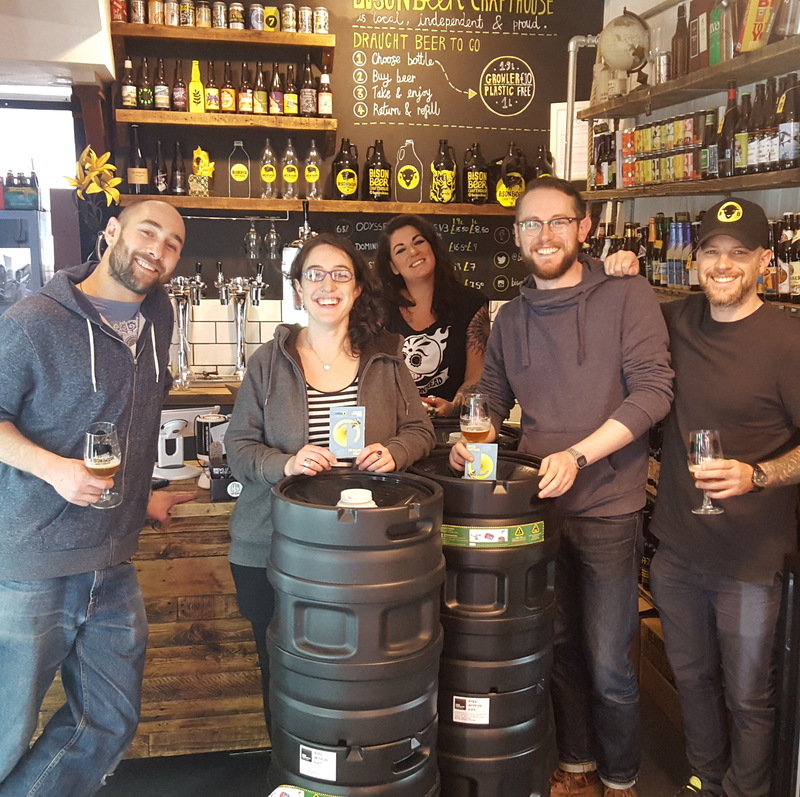 The beer, Ryed With Us, will also be available for trade customers from us – if you’d like a keg for your pub/bar/cafe drop us a line on 0117 9039930 or accounts@goodchemistrybrewing.com. It is limited edition however, so don’t hang around!